Android can be frustrating sometimes. You’re about to buy a new smartphone and remember that half of the world’s devices, more than a billion of them, have outdated software. How can you buy a smartphone that has the best chance of receiving the latest Android version? 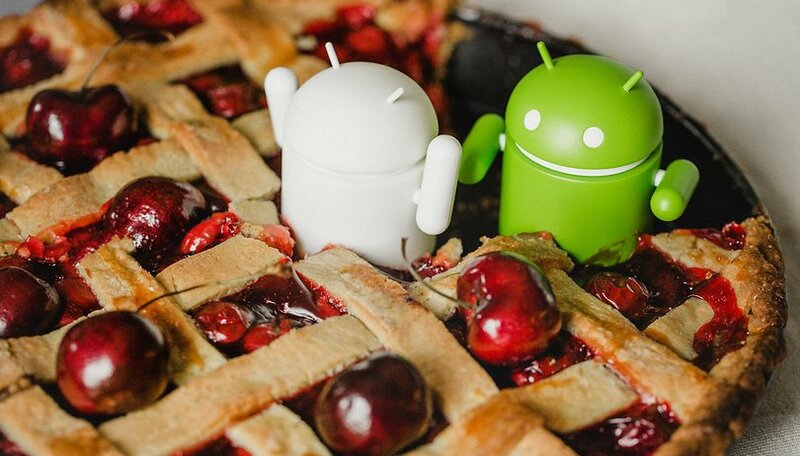 Want to know how to get Android Pie faster? Or even Android Q? We have some vital advice for you. Want to know how to get Android Pie faster? Or even Android Q? Before making a purchase, look up everything you want to know about the device online. In addition to its complete configuration and reviews, you may also encounter production issues and specific information about how regularly the brand receives updates. And don’t assume that because a brand updates one device, it will update all of its smartphones; quite the opposite is true. It is much smarter to look for the update rate of a specific product line. For example, it’s far more likely that Samsung will upgrade its S line in comparison to its J line. Though it’s important to check a brand’s tradition of updating their devices, it’s also crucial to see what users are saying too. Users usually want the latest Android version and tend to call out the brands that are slow to update, and praise the ones who update faster. Look for online communities that follow the device or the brand, and see what users are saying. You can check our forum, but you can also search for Facebook, Google+ or Telegram groups. Users often provide more accurate information than manufacturers, which always promise more than they provide, and which despite official information are always slow to update some devices. Okay, we know that not everyone has the money for it, but this is one of our most valid tips and it should be taken into account. If you’re the kind of person who cares a lot about having a device that is as up-to-date as possible, it might be worth spending a bit more and having a top-range smartphone. It’s also wise to wait at least a month before buying a new device. This will allow you to learn more about it and its possible defects, and the price could also go down considerably. Top brands like Samsung, LG, and Sony will certainly receive at least one update and are more likely to receive a second one as well (and if you’re lucky, maybe even a third). Apart from that, they usually reach the market with the latest version of Android, which cheaper lines are usually lacking. This is a tip that may seem obvious, but that matters a lot. Many smaller companies launch only a few devices and have little or no concern about upgrading their products. These devices are often generic, with designs that are bought in China and are then resold in other countries. And of course, these smaller companies may end up upgrading their smartphones, but the odds are always low. So go for brands like Sony, LG and Samsung (or Xiaomi, OnePlus, Google and Huawei), which will provide some reassurance that you’ll receive an Android update. Just be sure to check the other items on this list as well. Here’s a tip that’s a little less simple and that may require some research. If you really want faster and more frequent updates on Android, it’s good to consider devices that come with Android One or pure Android stock. Check out the article below to get more detailed information. Google's own Pixel line, for example, are always the first to get the latest Android version, and this also applies to earlier Pixel models. So if you can't afford a smartphone from the Pixel 3 range, consider a Pixel 2 or even the original Pixel. Devices with Android One, are also likely to get speedy updates. Some affordable evices like the Motorola Moto X4 or HTC U11 Life come with Android One. The new wave of Nokia smartphones also include many devices with Android One, including the Nokia 7 Plus, Nokia 6, Nokia 8.1 and Nokia 8 Sirocco. It’s sad, but true. Unfortunately, the devices sold by mobile carriers end up having an extra layer of difficulty when it comes to receiving system updates. Each time an update arrives on an unlocked device, it will need to go through another round of testing to incorporate carrier apps, system settings, and possible functions. This isn't always the case, as for example, you may remember that the Galaxy Note 8 received Oreo on carrier versions slightly earlier. But nonetheless, it's still a good rule of thumb. Just don't forget to research the manufacturer's history as noted above. Will your smartphone get Android Q? The articles above will tell you which devices will get an update to Android P and Q, but what you really need to know is that in the end, the same model of a device may end up not getting an update from its operator, even if the unlocked version receives an update. It is therefore best to avoid any doubt and purchase the device unlocked. What do you think of our tips? Do you know of any other tricks to make sure you’ll have an up-to-date smartphone? How about a unlockable bootloader from the start of the purchase if security updates are important to you. My hardware always outlasts the manufacturer carrier support. I am still using my Samsung galaxy note3. Search xda-developers for unlocking bootloader root and custom rom support before you buy. Without a unlockable bootloader you are stuck when the manufacturer stops supporting the device. Always get a unlocked phone, you'll save in the end. Get one that's getting regular updates, and can be unlocked and rooted. Regular updates mean more choices of after life roms, after the updates stop. I do not know what version of android I have, maybe something old, because it does not know to remind me to update. I was expecting more of the benefits from Android. Good luck as I remember to check the version sometimes, but I sometimes forget it. That's why I've scheduled another phone, also with Android (! ), Which starts the alarm to remind me to do the update check. That's why I'm using 2 Android phones. Perhaps if I use an iPhone I would only need it by myself! Other than security patches, the version of OS, for me, doesn't really matter. Not much as really "changed" past Lollipop. Just because it's new, doesn't make it better...just new. Have to agree on this one. I've updated many a device to find it worse than it was before (either slower, had a bug, didn't work properly with another device such as car stereo or watch). The most common problem though is worse battery life. Often the version that comes with phone works best. Pixel will always be updated first so best choice if you like to be up to date. That said some updates are nice. For example on my G5 Nougat feels quicker and my screen on time much improved but standby battery life is significantly lower. I got 6 hours screen on with my z3 compact on KitKat, 4 on lollipop and 4.5 on marshmallow. KitKat on that device was arguably most reliable version I've ever used. On samsung s7 Nougat brought lag to the point I sold it and went back to Sony. You can go back it's not that easy and somehow if you do might not be as good as what you had before update. Pretty much every application will run on lollipop or later so less of a big deal than you might think. (2) to accommodate new hardware. Putting a new OS on old hardware is just asking for trouble, as much of the new OS will not be useable by the old hardware, and is more likely to slow down the old hardware than speed it up. Much better to buy new hardware if the new OS is all that important to you. For me personally, I'm still using Lollipop on my now dated smartphone (BLU Pure XL) -- which still does far more than I ever really need.